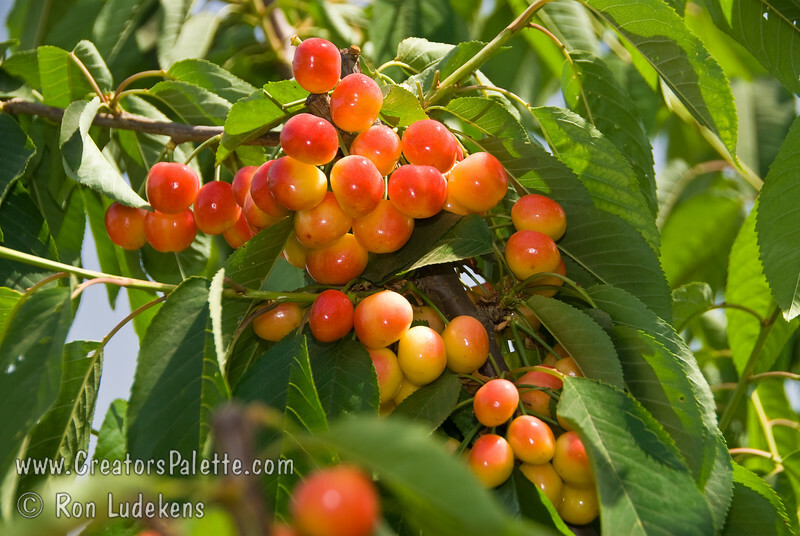 Rainier Cherry - Prunus avium sp. Premium quality sweet cherry. Yellow blushed with red. The highest value cherry produced in the Pacific Northwest. Medium to large. Fine textured, very firm, yellowish-white flesh. Has distinct flavor. Tree is hardy. Bears early and heavy. Resistant to cracking. Needs pollinizer such as Van or Black Tartarian. Good pollinizer for other sweet cherries. Ripens: Mid season, three to six days after Bing.